New York City’s Penn Station is a more than 100-year-old architectural landmark and busy railroad hub. So imagine the surprise and delight of Amtrak train travelers when they came across a futuristic “Teleporter” that whisked them away instantly to another city. 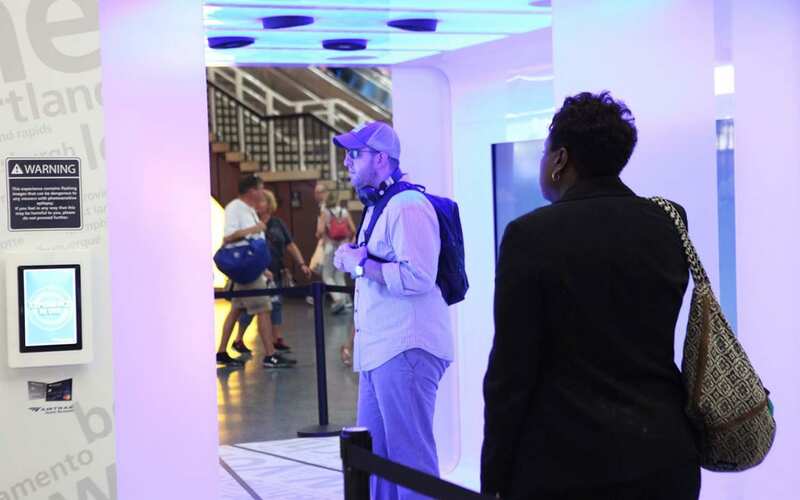 The experience, activated in the Amtrak Rotunda at the station Sept. 14-25, helped Amtrak promote its two new Guest Rewards cards with Bank of America that offer points for Amtrak travel, regular travel and other spending. 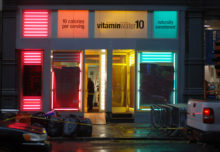 To enter the Teleporter, consumers placed their hands on a futuristic touch screen panel that activated the experience. Once inside the structure, fans expelled a blast of air, lights flashed and suddenly, a countdown began as two 90-inch screens on either side roared to life. 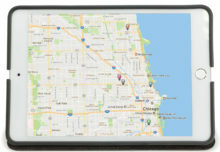 Animations made consumers feel as thought they were sitting on a train looking out the window en route to either Chicago, Philadelphia, Washington, D.C., Boston or Los Angeles, with the scenery displayed matching each destination’s train travel route. Once consumers “arrived” at their destination, the screens displayed iconic images of that city and instructed them to then step outside to claim a prize. Giveaways ranged from branded water bottles to neck pillows, commuter travel kits and luggage tags. Following the engagement, consumers could sign up for one of the Amtrak rewards cards and receive free bonus miles for doing so. Brand ambassadors were standing by with iPads, computer kiosks and handouts. “We were excited to launch this new card program and thinking about different ways we could get in front of customers, create buzz and fuel signups,” says Liz Chung, director of loyalty partnerships at Amtrak. 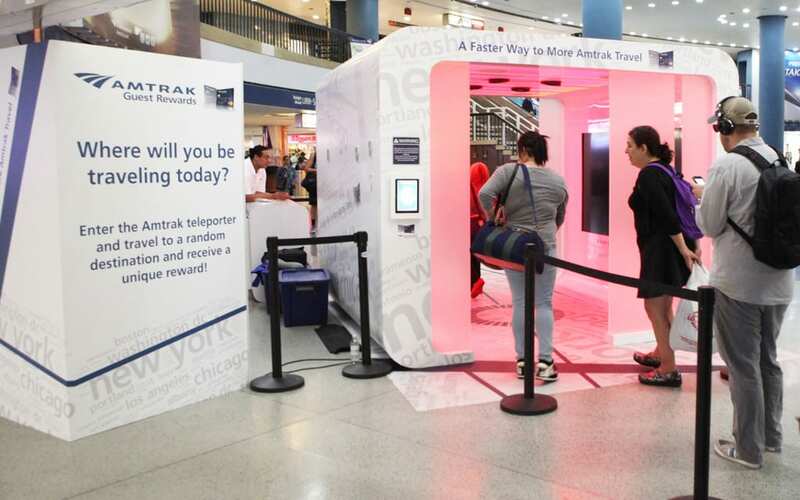 “The Teleporter felt like a really modern and exciting experience and felt out of the ordinary, and we really liked associating those feelings with the Amtrak brand in promoting the cards.” Agency: Elite Marketing Group, New York City.